October 14, 2014 - When a huge chunk of Mexico became part of the United States in 1848, many of the Mexicans who lived in the affected territory moved further south, back into Mexico, because they didn't want to live in the country that had invaded them. Back then, the flow of immigration was in reverse! U.S. President James Polk had provoked a war with Mexico to forcibly expand U.S. territory, arguing that it was this country's "manifest destiny" to extend across the continent. The Mexican-American War later was called "one of the most unjust ever waged by a stronger against a weaker nation," by another U.S. president, Ulysses S. Grant, who had served in that war as a young Army lieutenant. But nevertheless, in 1848, Mexico lost almost half its territory, and the United States grew by a third of its size. Under the Treaty of Guadalupe Hidalgo, which ended the two-year war, for $15 million, Mexico was forced to give up its claim to a disputed portion of present-day Texas and to the entire New Mexico and California territories — which encompassed present-day California, Nevada, New Mexico, Utah, most of Arizona and parts of Colorado and Wyoming. "It was an instance of a republic following the bad example of European monarchies, in not considering justice in their desire to acquire additional territory," Grant wrote in his 1885 memoirs. Many Mexicans didn't want to be Americans, and the Mexican government actually encouraged its former citizens to return to their homeland and establish new colonies on the south side of the 1848 border. 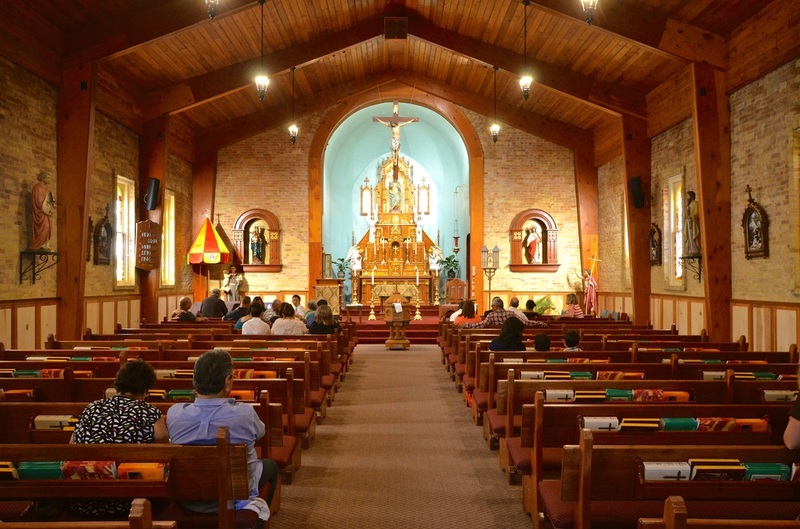 In that same year, some Mexicans moved south from the village of Doña Ana, which had become part of U.S. territory, and established a new Mexican pueblo called Mesilla, just south of the border with the United States. 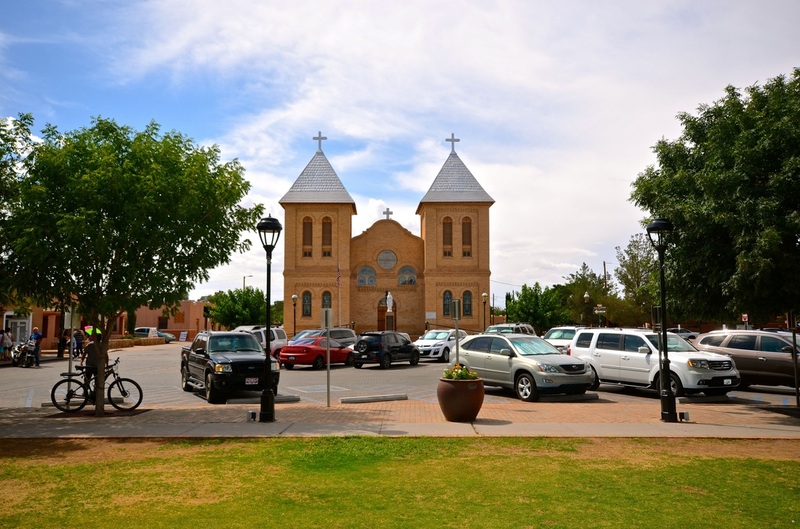 "Mesilla sat just inside Mexican territory and welcomed back loyal citizens from the north who did not wish to become residents of the United States," according to the National Park Service's website. So many people were moving back to Mexico that by 1850, Mesilla was a thriving community of some 3,000 residents. 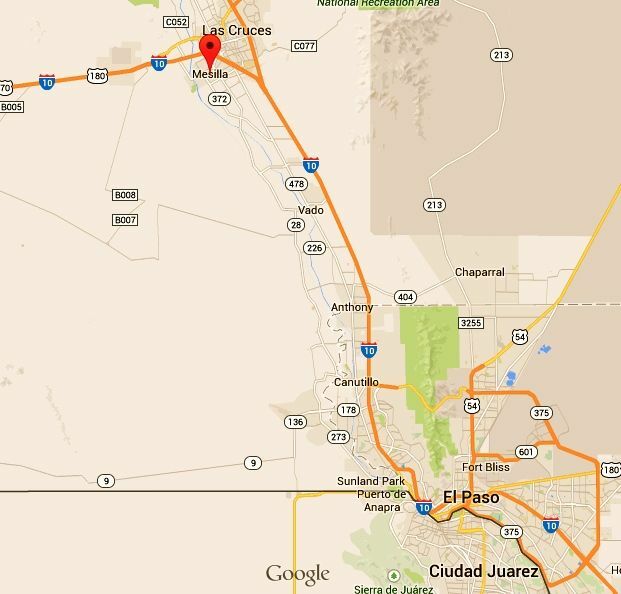 But ironically, Mesilla became part of the United States, and its residents were once more Americans. In 1853, after encouraging returning Mexicans to build towns on their northern border, Mexico sold another chunk, 29,670 square miles of what is now southwestern New Mexico and southern Arizona, of its northern territory to the United States for $10 million. Mexican President Antonio Lopez de Santa Anna, who had returned to power after his defeat in the Texas Revolution and had no affinity for northern-frontier Mexicans, reached the agreement with U.S. Ambassador to Mexico James Gadsden. It's known as the Gadsden Purchase. 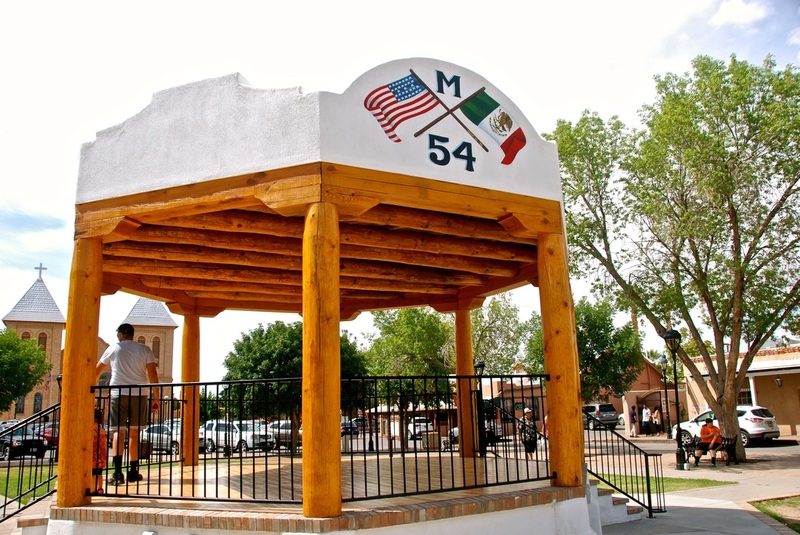 But Mesilla residents were not so reluctant to be Americans as they were before. After all, some felt betrayed by Mexico's Gadsden sale, and some had been drawn closer to the Americans, as Mesilla had grown to depend on U.S. Army protection from Apache attacks. 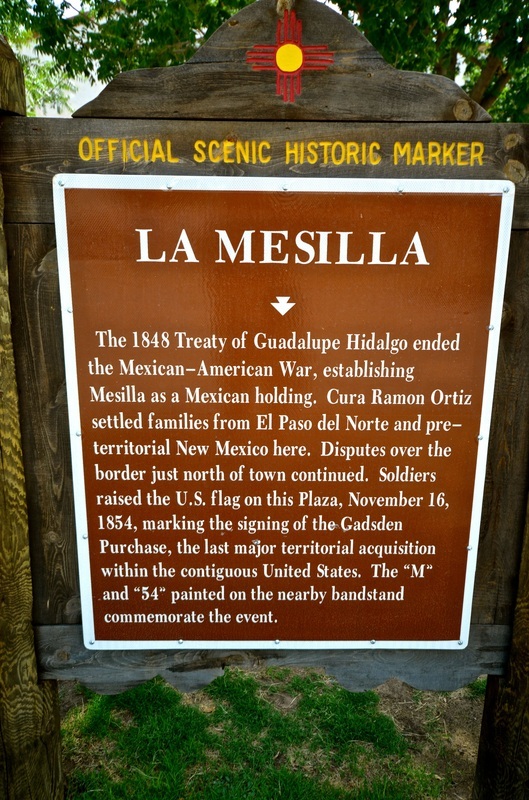 Some background: Between the Treaty of Guadalupe Hidalgo in 1848 and the Gadsden Purchase in 1853, the Mesilla area gradually became considered a no man's land because it was claimed by both Mexico and the United States. The dispute was caused by an error in the delineation of the international boundary between the countries established under Guadalupe Hidalgo. But it was exacerbated because the United States, instead of Mexico, had been protecting Mesilla from Indian attacks. In 1851, just north of Mesilla, the United States had built the legendary Fort Fillmore, primarily to protect American settlers and traders traveling to California. 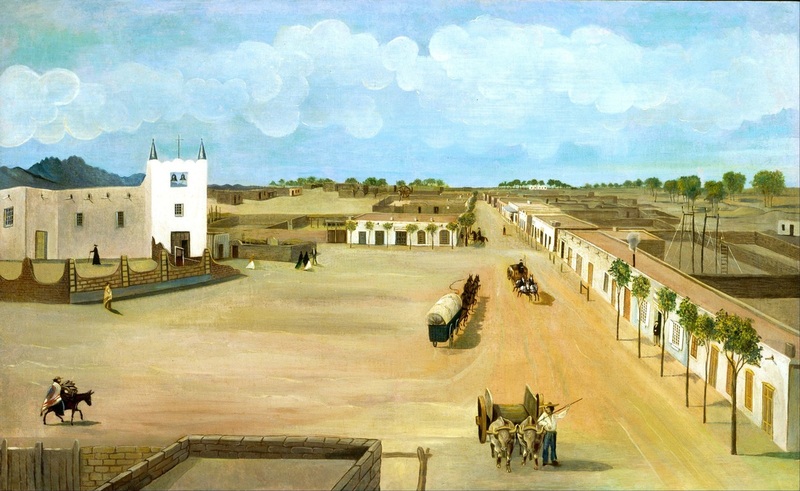 But because the fort also protected the entire Mesilla Valley, including the Mexican town of Mesilla, the Americans had laid claim to the valley. 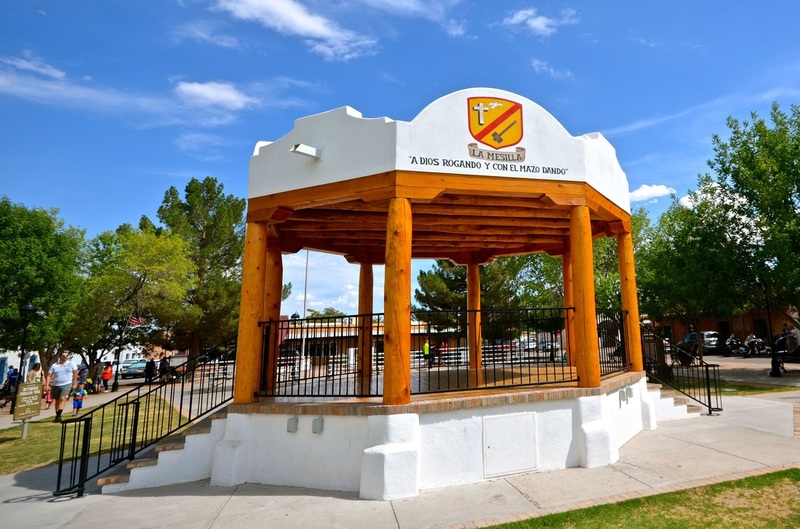 The dispute over the no man's land was settled in 1853 by the Gadsden Purchase, and the American flag was first raised over the Mesilla town plaza on Nov. 16, 1854. 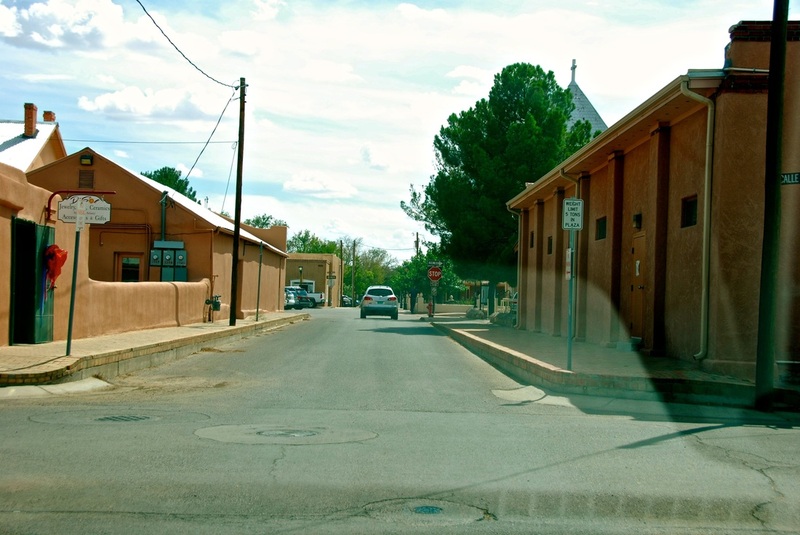 Soon thereafter, Mesilla became a crossroads of international trade. It was an important stop for stagecoach and mail routes within the United States, and it sat on El Camino Real de Tierra Adentro, or the Royal Road of the Interior, which connected Mexico with New Mexico at a time when no one asked travelers for immigration papers. Becoming the county seat of Doña Ana County in 1855, Mesilla thrived as a commercial and cultural center. 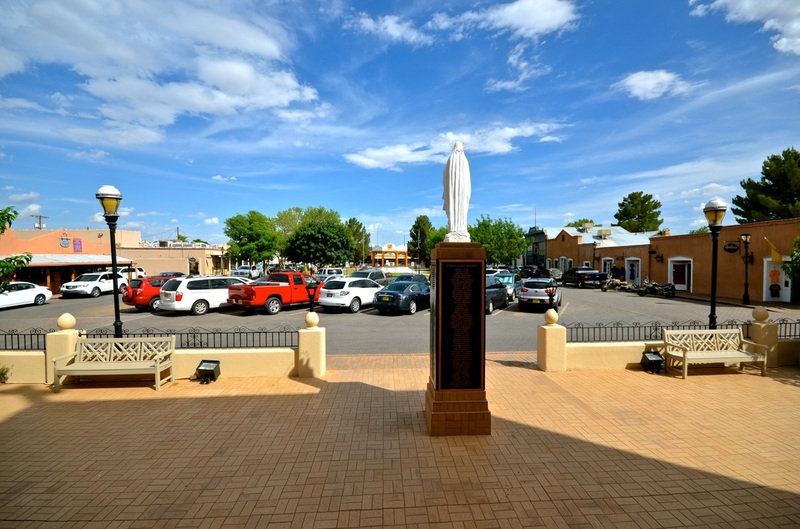 The Mesilla town plaza, headed by the San Albino Catholic parish, established in 1852, became very much like the stereotypical Mexican-American towns we see in movies about the Old West. But this was not fiction. Mesilla was the real thing. It saw everything from gunslingers to Indian raids. For a brief period during the Civil War, Mesilla became the Confederate capital of Arizona Territory. 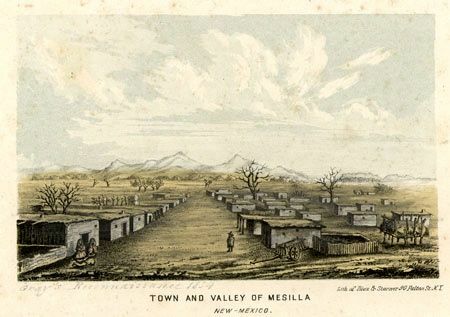 Union troops had been forced to abandon Fort Fillmore, and Confederate soldiers took control of Mesilla from 1861 to 1862, when Union forces again took control of the town. If there was a Wild West, this is where it happened. Mesilla had become a magnet for those seeking leisure and entertainment, drawing people from all over northern Mexico and the American Southwest but also attracting its fair share of outlaws and bandidos. This is the town where William Bonney (aka Billy the Kid) was tried and sentenced to hang in 1881, although he later escaped. In that same year, however, something else happened that unwittingly helped Mesilla preserve its character as a 19th-century Mexican village. That's when the Santa Fe Railway decided to bypass Mesilla in favor of Las Cruces, just 4 miles to the northeast, shifting urban growth (and the county seat in 1885) to Las Cruces and allowing Mesilla to retain its rich Hispanic heritage. 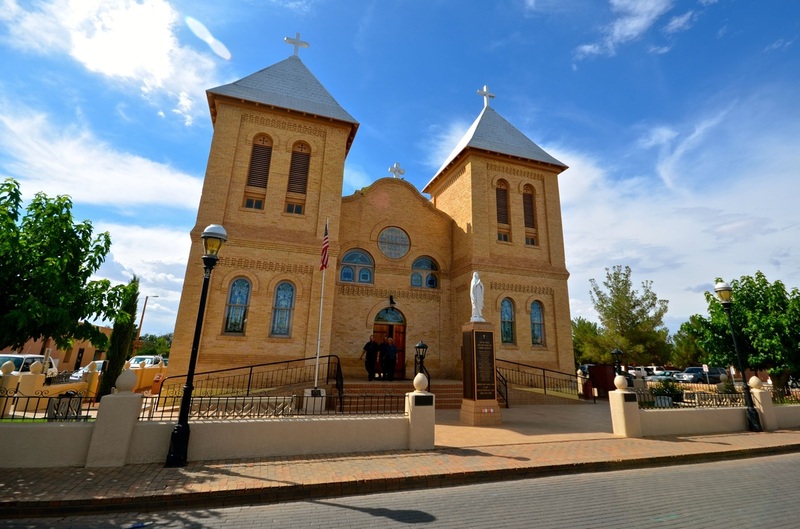 San Albino, rebuilt in 1906 and now a basilica, still presides over the Mesilla Plaza, which is lined with 19th-century buildings that are now housing shops, galleries and restaurants. Mesilla Plaza, eyewitness to the evolution of the American Southwest, was designated a National Historic Landmark in 1962. When the Great Hispanic American History Tour made a stop at Mesilla Plaza, just like the stagecoaches of the past, suddenly I understood why so many towns in Old West movies seem to be so architecturally Spanish and Mexican. 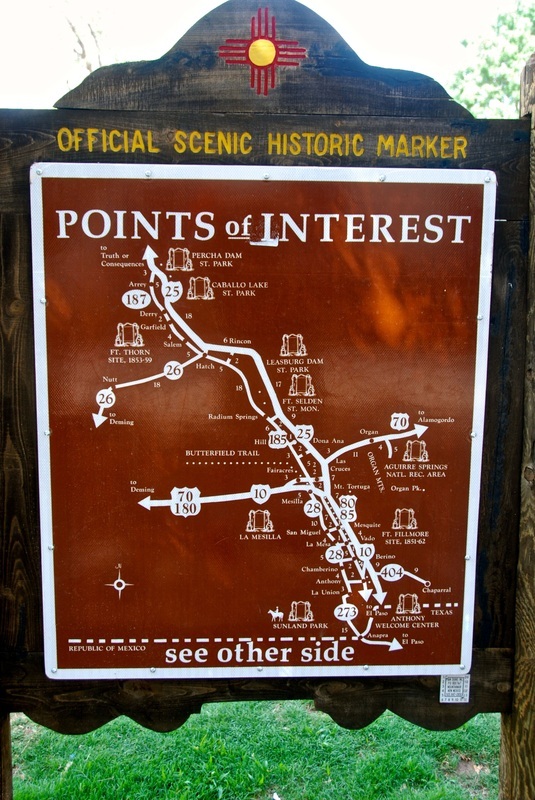 With fewer than 2,000 residents, many of whom are direct descendants of Mesilla's early settlers, the town's quaint historic district still showcases "a diverse amalgamation of Indian, Spanish, Mexican and Anglo-American cultures and traditions," according to the National Park Service's website. I say it also showcases the legacy left by people who became Americans when America came to them, serving as a living history lesson for Americans who think most Hispanics are foreigners. Next week, as the Great Hispanic American History Tour keeps moving west along the U.S.-Mexico border, we will pick up the trail of other Hispanic settlers who ventured much further north and discovered "the biggest hole in the world." Another Hispanic Heritage Month may be ending, but the Great Hispanic American History Tour still has much ground to cover. 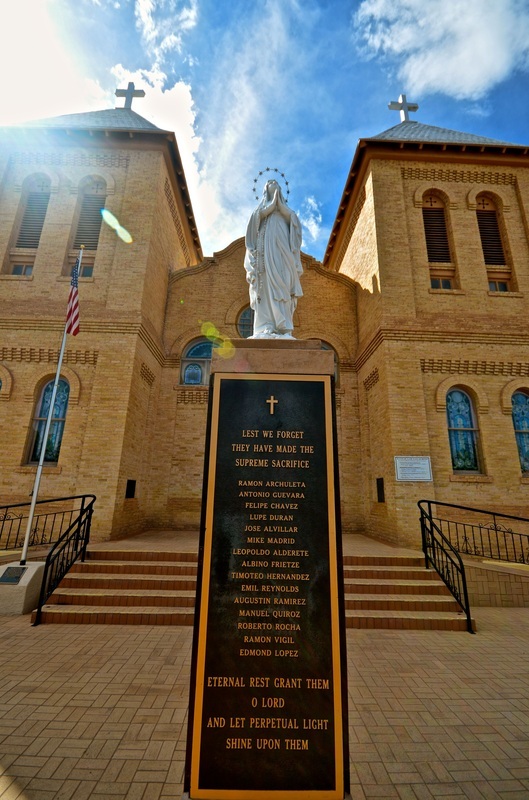 This column outside San Albino Basilica lists all the Mesilla residents who have died in American wars. Check out how many of them had Hispanic surnames. To enlarge the photos, click on them!